Floral Park, N.Y. — The Long Island Rail Road broke ground on the historic Third Track. The $2.6 billion expansion effort includes 50 projects to modernize 9.8 miles along the congested Main Line of the LIRR between Floral Park and Hicksville. Those projects include adding a third track, eliminating all seven street-level grade crossings within the project corridor, adding new power substations and parking, and modernizing track and signal infrastructure. Forty percent of LIRR riders pass through the Main Line. The plan takes no residential properties, eliminates the seven street-level grade crossings, and widens or increases the height of seven bridges across the line to prevent bridge strikes. As part of the project, the state is also undertaking a comprehensive noise abatement program — replacing all tracks and building the new Third Track with advanced dampening technology. The project also includes sound-reducing walls along nearly six miles of residential neighborhoods along the mainline and features architectural treatments to complement the surrounding environments. 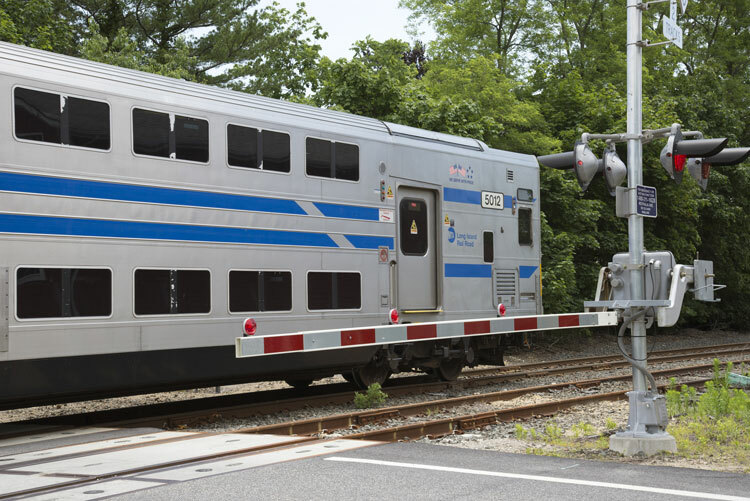 Work on the Main Line is part of the historic $6 billion transformation of the Long Island Rail Road to strengthen the region’s transportation infrastructure and usher in a new era of economic growth. In total, approximately 100 transformative LIRR capital projects are moving forward, including the Main Line Third Track, Double Track, Jamaica Station Reconstruction, 39 renovated Long Island Rail Road stations and grade crossing eliminations. The project team has engaged in an unprecedented level of public outreach with a broad range of individuals and organizations, including community groups, elected and appointed officials, businesses, and residents. Many of the Project’s elements and construction impact minimization measures are the direct result of input given by the public. A series of environmental and community commitments were developed over the course of the planning phase in coordination with many stakeholders along the Project corridor. Previous ArticleDresdner Robin completes design work on The Cambridge Club in Monmouth County, N.J.